Although I can no longer pick up whatever I want from stores on a whim, going cruelty-free hasn’t been particularly limiting. But when Rachel of Rachel Rambling On asked me which cruelty-free perfume I used, I was stuck. Because the truth is: I don’t. Or I didn’t until recently. Just to explain: I switch between two perfumes — Marc Jacobs Honey and Nuxe Prodigieux. Honey was a gift before I went cruelty-free and Prodigieux was a gift back when I believed Nuxe were a cruelty-free brand (last I checked they sell in China, so technically they’re not). I don’t want to waste them, so the plan is to use them until they run out (they last for aaaaages) but Rachel’s question made me think about what I would do when they did. Where do you shop for cruelty-free scents? The answer, as it so often is in times of crisis, was LUSH. More accurately, the answer was Gorilla Perfume. Gorilla Perfumes are sorted into categories called volumes. Volume 1 is ‘inspired by British landscape, literature and lore’. Volume 3 is the Death and Renewal Collection, ‘inspired by the cyclical nature of life’. 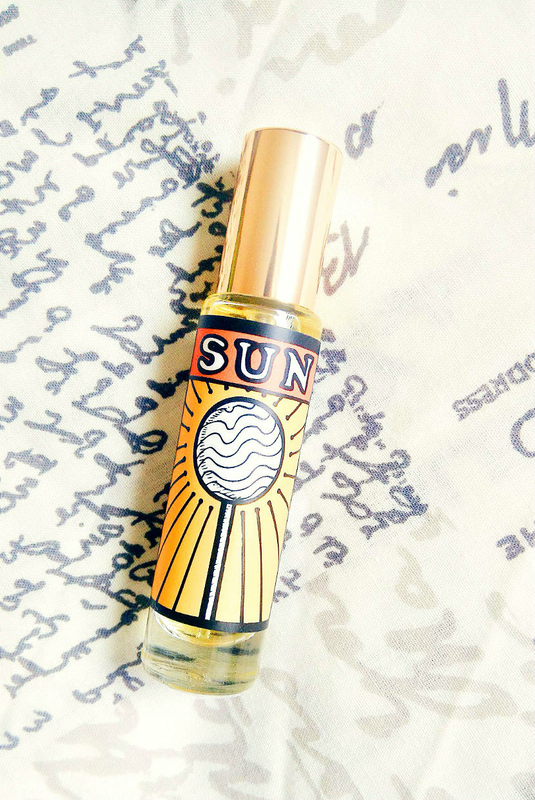 The perfume I picked up, Sun (v), falls into Volume 2, which doesn’t really have a description — I guess it’s for all the misfits. One sniff of Sun and I fell in love. I’m a sucker for citrus scents and Sun is just so summery. It contains Brazilian orange oil, which is really noticeable, especially when you first spritz it on; mimosa absolute; and sandalwood oil, which I didn’t pick up on so much at first, but it really comes through once the scent settles on your skin and kinda mellows out the orange, if that makes sense? It’s juicy and happy and fruity and fun, and makes me happy every time I wear it. Longevity is not quite as good as I was hoping but since the bottle I bought is small enough to slip into my bag, this isn’t really an issue. Sun is available on the LUSH website. It’s available in three sizes: a 12g solid perfume (£6), 10ml (£12) and 30ml (£24). I went for the £12 option, since I’m not keen on solid perfume. Do you use a cruelty-free perfume? Do you have any favourite LUSH scents? Let me know in the comments!